Earth Day vs. Arbor Day. Why do we even need these two holidays? Well, for one, these aren’t just holidays that were invented to sell greeting cards. In fact, part of their goal is to reduce the number of greeting cards that are made and to recycle all the old ones. We have both of these holidays because they started in very different ways for causes that were important in their time, almost a century apart. Today, their causes are as crucial as ever, and they have both come to emphasize the end goal of improving our planet. Here’s some more information that will help you see the forest for the trees and be able to tell the two holidays apart. Arbor Day was started back in 1872 by a member of Nebraska’s State Board of Agriculture. Julius Sterling Morton proposed the day of tree planting as a way to repopulate his home state with trees. By 1888 we were recognizing the importance of trees nationwide and Arbor Day became a widely celebrated holiday. Earth Day was founded much later in 1970 when Wisconsin Sen. Gaylord Nelson began an organization of volunteers to raise awareness of environmental issues and pollution. Nelson believed he could force environmental protection onto the national political agenda if he could combine the energy of the anti-war movement with a public awareness of the ongoing air and water pollution. Because tree planting can’t happen at the same time of year nationwide, Arbor Day is celebrated either the last Friday of April, or whenever the climate allows. Hawaii for example, doesn’t celebrate until November when their rainy season starts. This year most states will recognize Arbor Day on April 27th. Activities involve planting new trees, tending to endangered trees and plants, and cultivating spaces for continued and future tree growth. Search here to find events in your state. Earth Day is every April 22nd in the United States in honor of Senator Nelson’s environmental teach-in first held on that day. The focus this year is on spreading awareness about the impact of plastics. Other initiatives include planting trees, Athletes For The Earth, and local trash cleanups (this one’s in the D.C. area). While Arbor Day is thought to be just a day to plant trees, it is really about environmental stewardship and leaving a better Earth for future generations than the one we currently have. You can do something as simple as learning your state tree, or if you’re feeling ambitious, you can share a picnic with friends and bake a dish using spices and other ingredients produced entirely by trees. Earth Day has become known for widespread, impassioned calls to action. But even if you’re not the call-your-senator-and-join-a-protest-at-the-capitol type, there are lots of simple ways for you to make a difference. Walking to school or work is healthy and cuts down on air pollution. 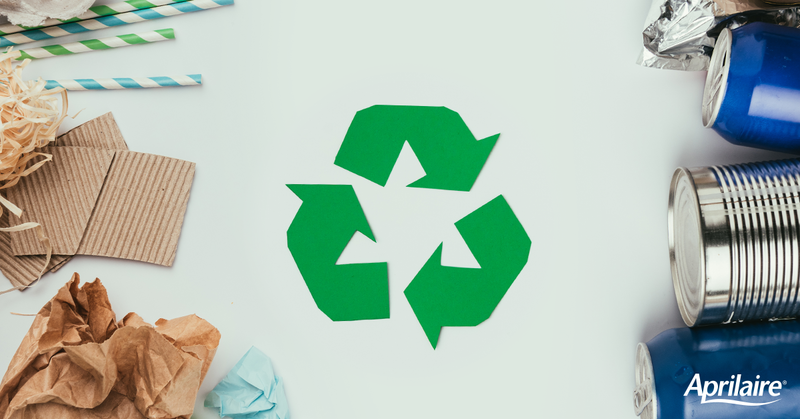 Recycling, using your own grocery bags, and carrying a reusable water bottle or coffee cup are all good practices that help to cut down on waste and pollution. And, just like for Arbor Day, you can plant a tree or two. So now you know the difference between Earth Day and Arbor Day. While each holiday began under different circumstances, they have always been simpatico at their core. Take some time on those days to become more aware of your surroundings and find a way that you can positively impact the world around you.